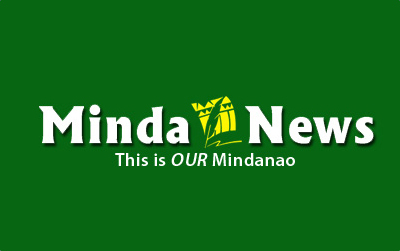 GENERAL SANTOS CITY (MindaNews/1 May) – The daily rotational brownouts in parts of Region 12 stretched to as high as eight hours on Thursday due to the worsening power supply shortage in the critical Mindanao grid. Distribution utilities South Cotabato 1 Electric Cooperative (Socoteco 1), South Cotabato 2 Electric Cooperative (Socoteco 2) and the Sultan Kudarat Electric Cooperative separately announced extended rotational outages, which they blamed on the reduced power allocations from the National Power Corporation and the National Grid Corp. of the Philippines. Santiago Tudio, Socoteco 1 general manager, said the NGCP has cut down their daily power allocation earlier this week to around 17 to 20 megawatts (MW) as a result of the drastic reduction of the Mindanao grid’s system capacity. As of Thursday morning, the NGCP listed the island’s system capacity at 922 MW or 314 MW short of the area’s system peak or power demand of 1,236 MW. Citing an advisory from the NPC and the NGCP, Tudio said such deficit was mainly caused by the continuing shutdown of the Steag State Power Corporation’s coal-fired power plant in Misamis Oriental and the emergency shutdown of the diesel plant of Therma Marine Inc. 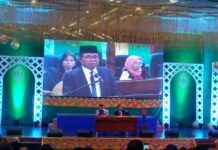 He said the generation capacities of the NPC’s Agus 2, Agus 4, Agus 6 and Pulangi 4 hydropower complexes further declined in the last several days due to the declining water levels at Lake Lanao and the river systems running them. Such situation was triggered by the lack of rains and the prevailing intense warm weather in the area because of the summer season, he said. Owing to this, Tudio said they were forced to implement at least three hours of daily rotational brownouts within their service area in the last three days. He said electric cooperative has already been operating its leased 12 MW modular generator sets but they were not enough to contain the area’s deficit. 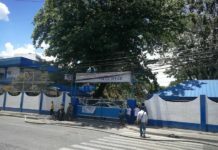 Socoteco 1, which lists a daily peak power demand of 34 to 38 MW, serves eight municipalities in South Cotabato, Koronadal City and Lutayan town in Sultan Kudarat. In Socoteco 2’s service area, the rotational brownouts have so far increased to three to four hours from the previous two hours and 30 minutes as a result of the worsening power shortage. The electric cooperative serves this city, the entire Sarangani Province and the municipalities of Polomolok and Tupi in South Cotabato. In Sultan Kudarat province, Sukelco officials said they were forced to extend the area’s rotational brownouts from five to eight hours daily due to the power supply deficit. Claudia Pondales, acting general manager of Sukelco, said in an interview over TV Patrol Socsksargen that they were continually looking for some measures to address the power shortage in the area but noted that they were primarily dependent on the capacity of the Mindanao grid. She said local power consumers should understand that the Mindanao grid has been facing a huge deficit in terms of power supply.